After hearing about Precious Pea's eating adventure at Hong Kee Tim Sum, I knew that I just had to go there as they have my favourite, Sang Chou Loh Mai (Fried Glutinous Rice) that I have eaten only previously in Chinatown, San Francisco. No, those aren't our orders! But it could have been ;o) or did we actually eat more than that? Our selection was served in a matter of minutes, here's the steamed selection. Spinach Dim Sum - this had a mixture of pork and shrimp. The mixture of meat was rather chunky (which I shy away from usually) but since it had a certain springy bite to it coupled with the fact that it was tasty, I ended up liking this little greenie! The filling for the Siew Mai was quite similar to the Spinach one but the meat was more processed, hence, less oomph and was just okay. When I first saw this before it was steamed, the egg crepe skin dumpling looked "regal", almost like a serving of Peking Duck. I was disappointed when it came back to our table, steamed and "civilian" looking like the usual beancurd roll that we usually have. Took a bite and the filling was like exactly the siew mai we had. We also had an order of Har Kau (prawn dumpling) but it was not that tasty. 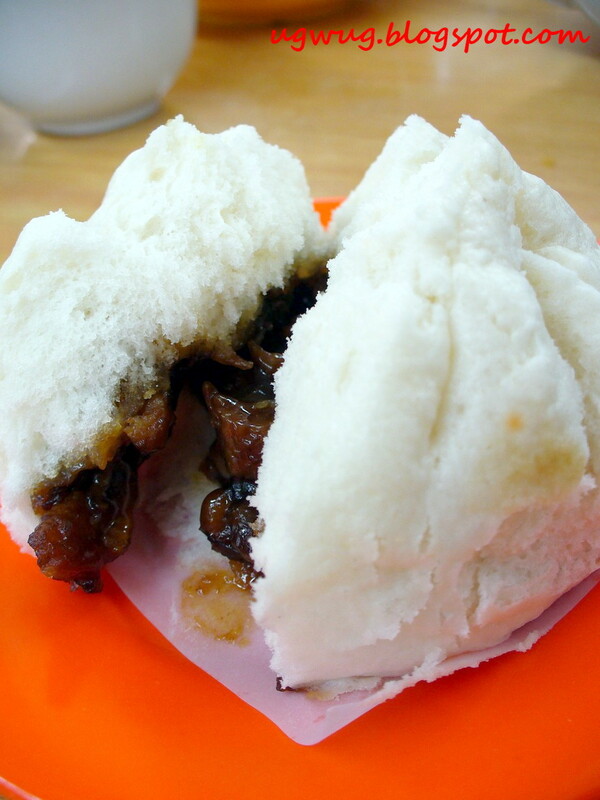 Char Siew Bao (no relation to a particular blogger's other half) is a steamed white bun with barbequed pork filling. It looked promising but a bite into it revealed the almost no flavour/smell filling. Did they forget to put something in that morning??? This was the same with the wu kok (yam dumpling)! Looked promising but faltered on "delivery". Char Siew So - given the Merit award by us as its pastry was nice, peppered with sesame seeds and the BBQ pork filling definitely tasted better. 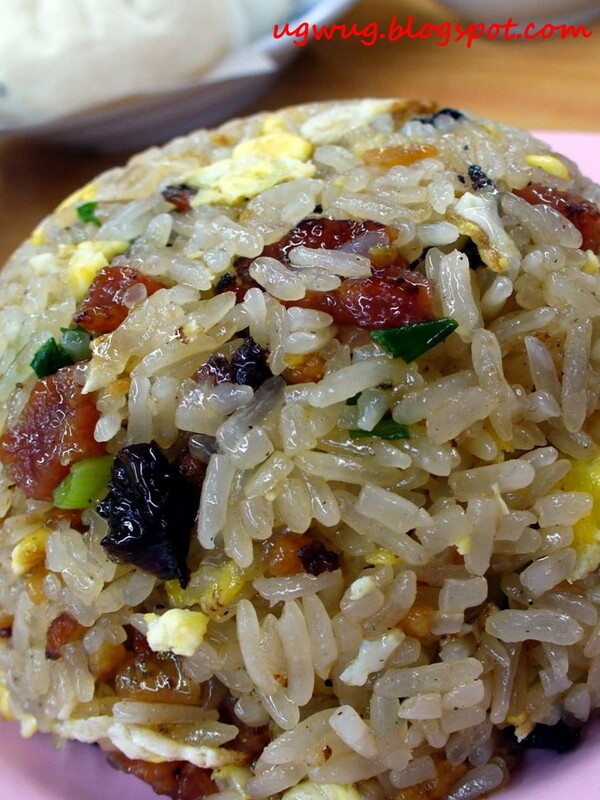 Came turned upside down in a clear bowl on the plate, the fried glutinous rice had generous bits of lap cheong (Chinese sausage), mushroom, egg and chives. Each spoon was a delight and if I could have my way (without the consequences! ha ha ha...), I would have this for breakfast, lunch and dinner! The fried carrot cake was aromatic and tasted good with bits of eggs, beansprouts and chives. I like that the carrot cake was soft yet firm. Mushy carrot cake for this dish is a no-no for me but this one here passed the test. 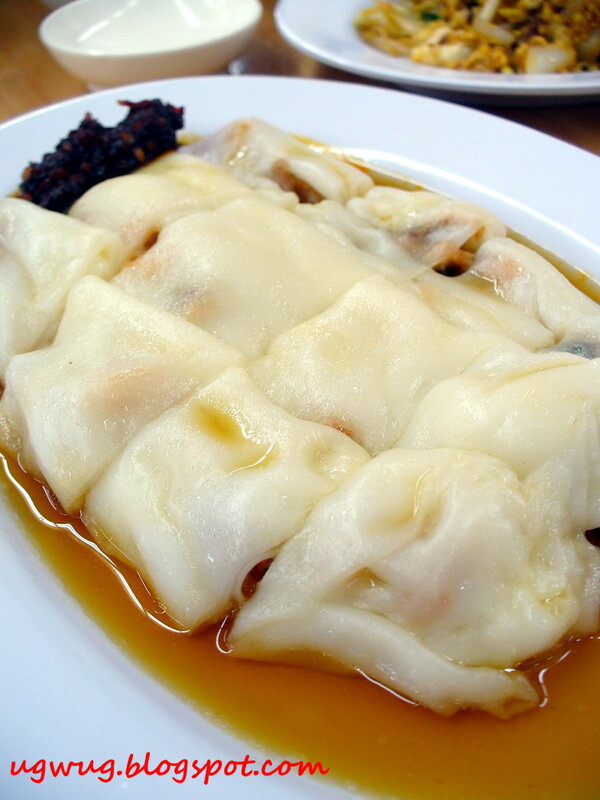 Hong Kong Chee Cheong Fun (CCF) are broad sheets of rice noodles rolled and steamed with usually either prawn or pork filling. Being a fan of CCF, we ordered a plate of CCF with char siu (BBQ Pork) filling. The CCF was smooth in texture and rather thin making this another dish with a Merit Award. I love..!!! kill me now..!!! ok.. just kidding.. but ya.. you just about kill me..!! i read about this tim sum at Boo's a few days ago..!! i wanna go home.. boo hoooo hooo..!! Yum! That Sang Chow Loh Mai Fan is definitely the best ever. mama bok & kok : hahah...kill lah, die lah...wah, this post of mine brought out such violent reactions! Come back quick! I'll buy you Hong Kee's dim sum. teckiee : You feeling better now? Yah, come let's go makan! judy : Ok, confirmed! You haven't been to anywhere! LOL...You must have been eating in when you came back here the last time??? boo : Yes, the main star of Hong Kee! wow2 : Last done in Nov' 06, no problem. You ah, maybe yours in from work stress. I definitely don't have stress lo. 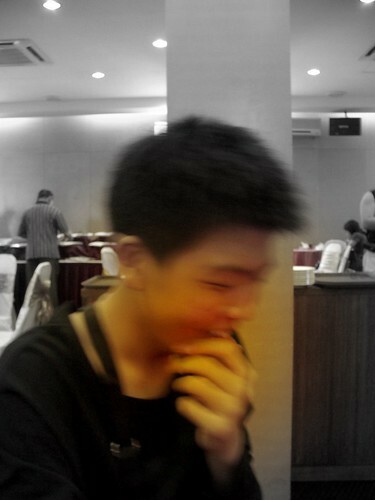 nice photo editing. ;-) Wah....we post same time ar?? ROFL. 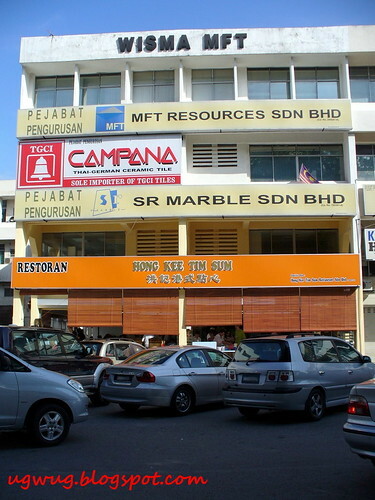 early in the morning already saw 3 same review about this place.. my wife abandoned me... sad sad.. 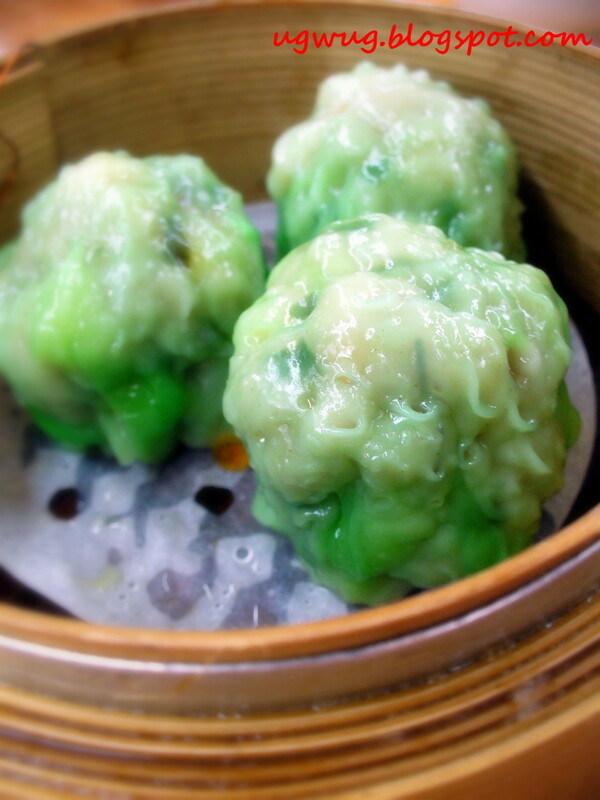 I SWEAR, i need to go and eat that sang chau loh mai RIGHT NOW. you women are all EVIL. EVIL, tahu!!!! all three of you. do you share an eye between the three of you??? 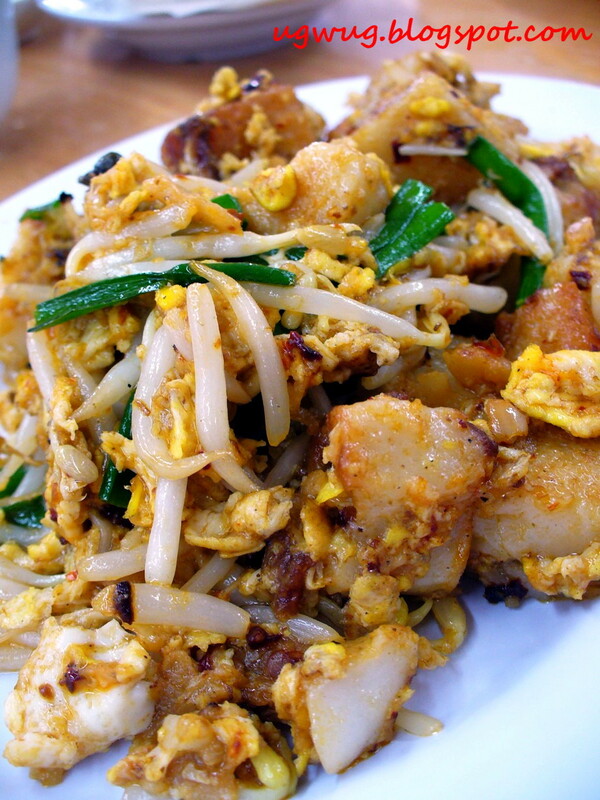 WMW, maybe you should drop by during weekday to see if they have the Sang Chow Loh Mai Fan. Then can pls tarbau and bring over for my lunch ar? FBB: We just came out with this new name for us sista...The irreSISTAble 4! LOL! err...my 3rd time reading post on hong kee today...all the sistas are spreading the lo mai fan virus @_@ Targeting this friday, 2 hours lunch time, should be able to make it gua. aiyoh i m sick of ppl reminding me of the sang chow loh mei fan d..hahah did u women gang up on poor souls like me ar???! 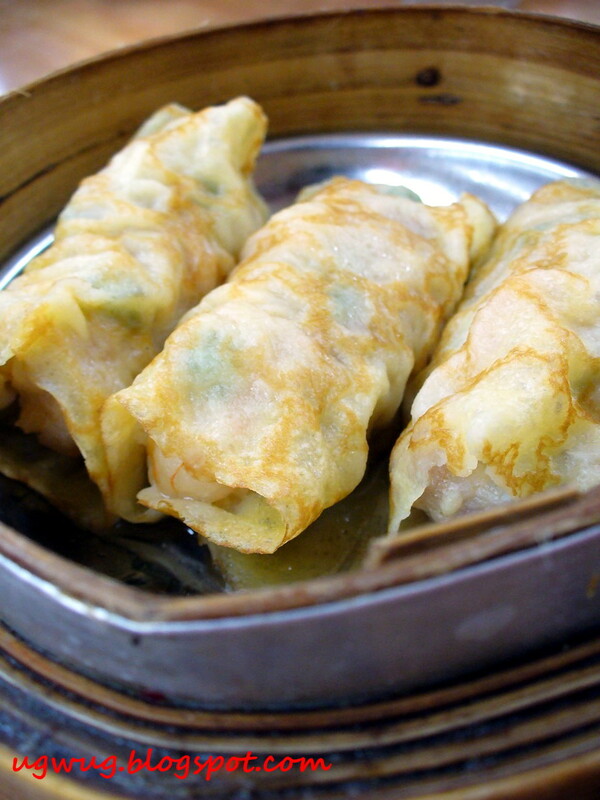 !..ok need to copy and paste this back to precious pea..
Goodness, the san chow loh mai fan looks wonderful. And I love the B&W style. Lyrical L : Thanks....Yes, same time. We are the synchro sistas! IrreSISTAble 4 as Precious P. coined! Precious P : Can call and ask, unless I'm going there for dim sum breakfast on weekdays. 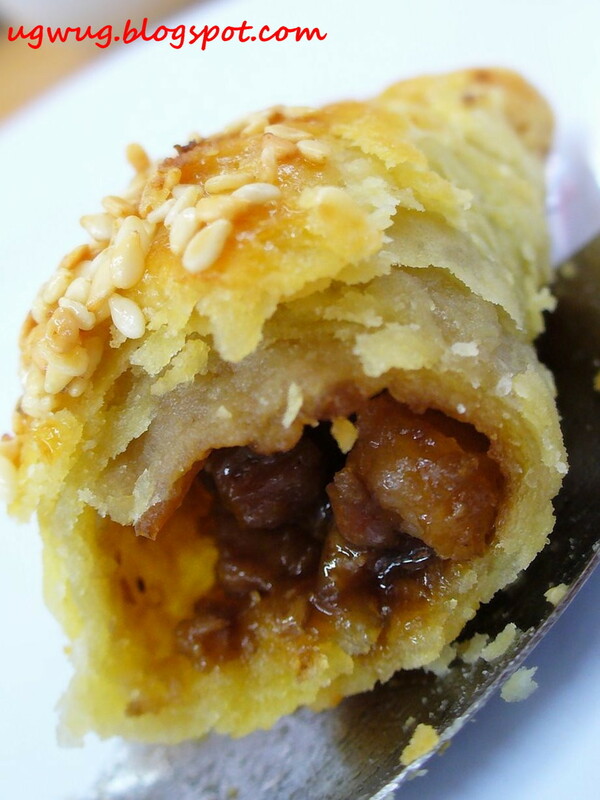 If got I think I will be getting lots of request for me to tah pau this dish. xlb : The lo mai fan's only available on weekdays wor. Try calling to ask, maybe they have started serving it on weekdays? 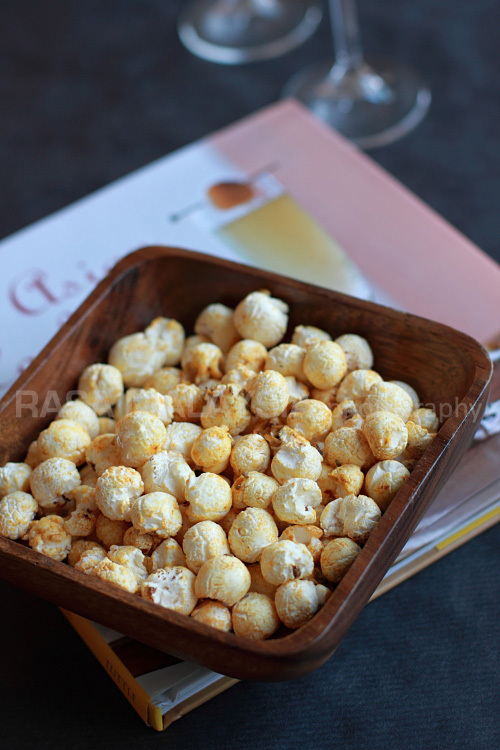 would take the good pics as license to indulge in these "heartful delights"....soon. btw, u listen to nik kershaw??? coool. i almost forgotten of such a guy until u post a youtube on yr sidebar. lol.if u h the whole cd, i wana burn yeah? U Won't Let The Sun Go Down On Me would u? lol. 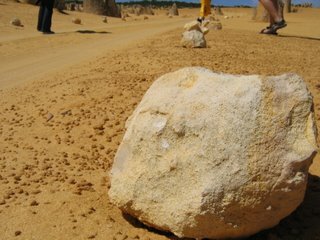 wmw: there is an error on your comment to xlb. Loh Mai Fan available on weekends not weekdays. Precious P : Oops, okay...thanks. GOTTA BOLD THAT PART IN MY POST...LO MAI FAN ONLY AVAILABLE ON WEEKENDS! NKOTB : There are hits and misses here....but that Lo Mai Fan is lovely (that is, if you love lo mai). Have to agree that the Loh Mai looks so temptingly tasty...yummy! Oh my, you really know how to capture a good piece of photo/art. 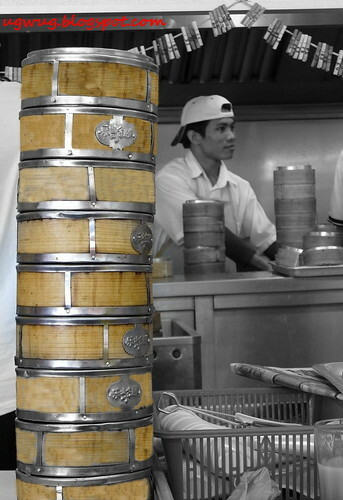 I really love the piece on stacking of bamboo steamers. It is gorgeous also the food too. 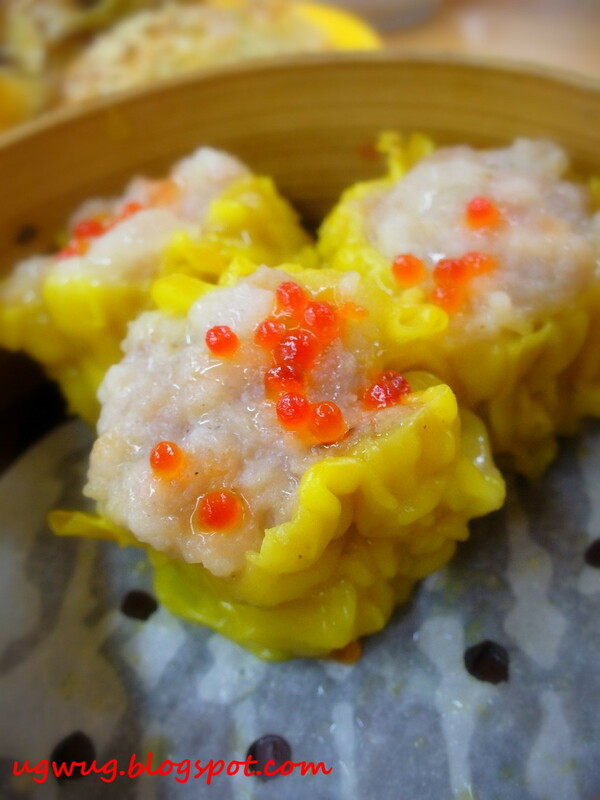 Your glistening Sang Chau Loh Mai is calling, "Come, come to me!" Carrot Cake? Is it the name of the dish or made from carrots? I thought it looks like radish cake or Char Kueh Kak in Pg. 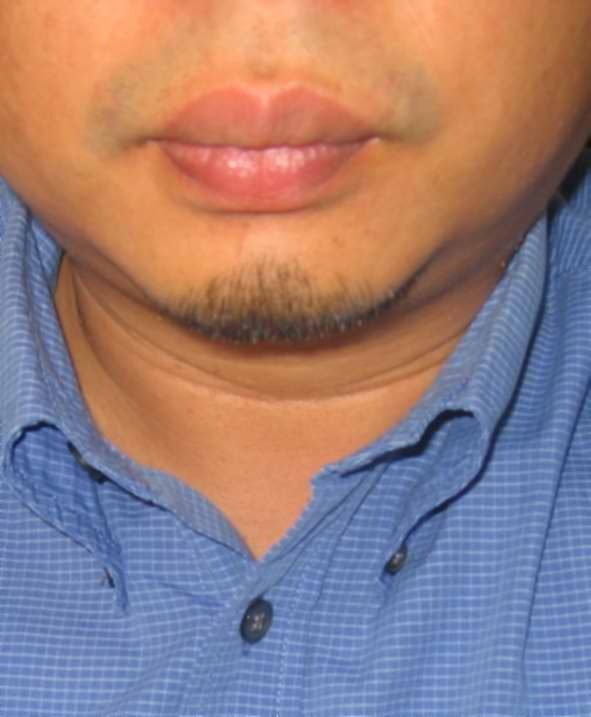 Hokkien. tigerfish : Glad us floggers are getting that point across with the synchronized blogging! bigboysoven: Thanks for the compliment. Check out this place when you can! meiyen: Read properly, not all good...check out the ones that are good, remember, the Sang Chou Lo Mai Fan only on weekends. Go early.